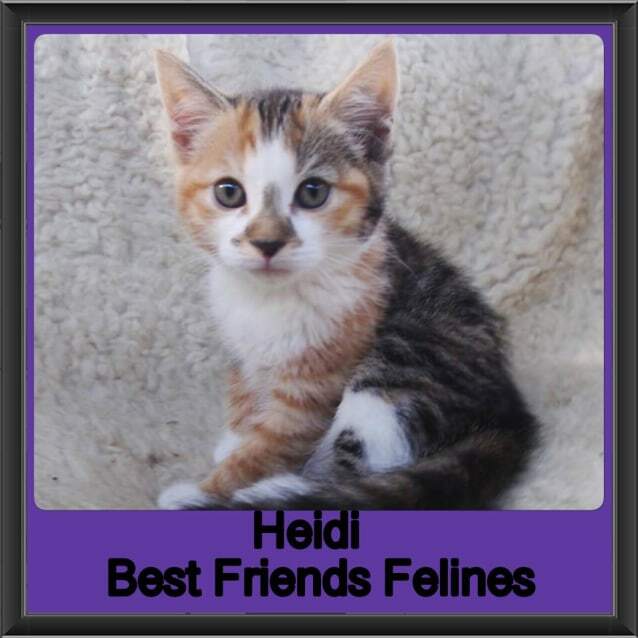 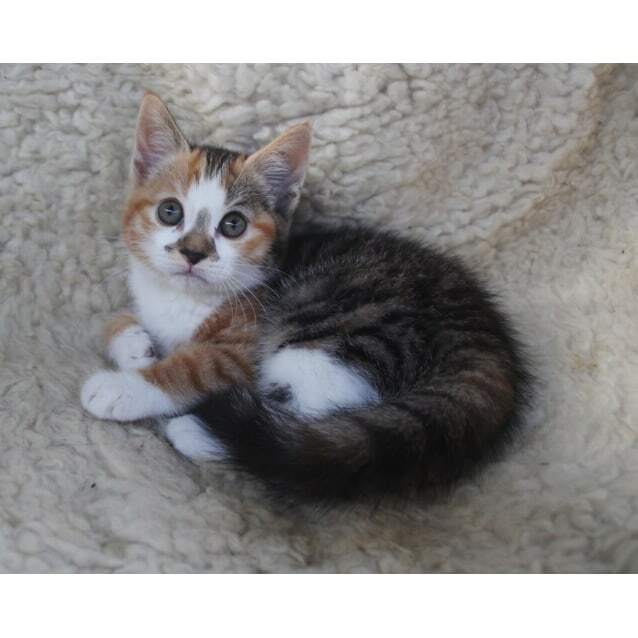 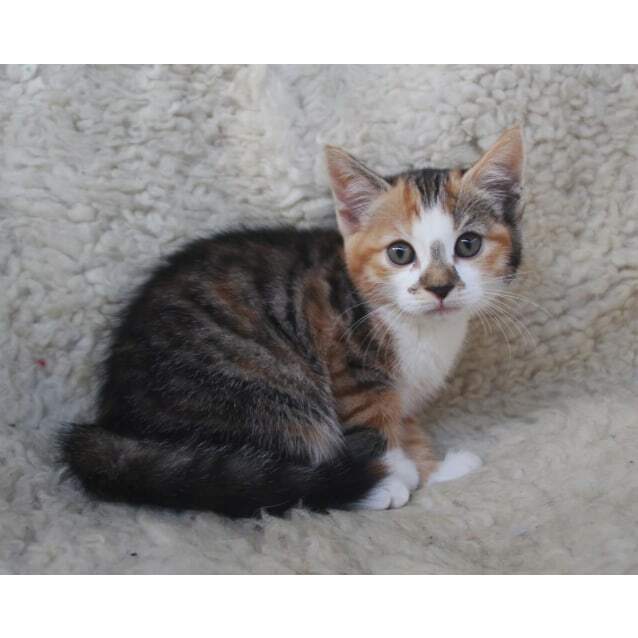 Heidi is a stunning little girl with gorgeous calico and tabby marking, and the most gorgeous perfect triangle on her little nose! 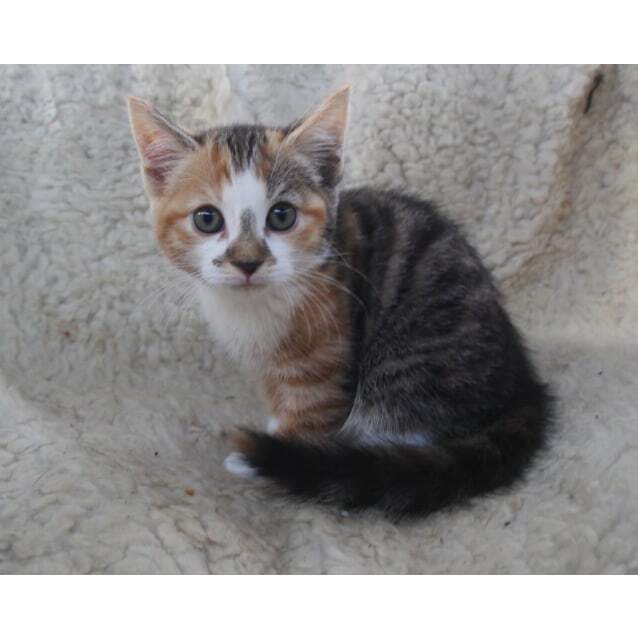 She is happy for a smooch and her little motor kicks into gear once you start patting her. 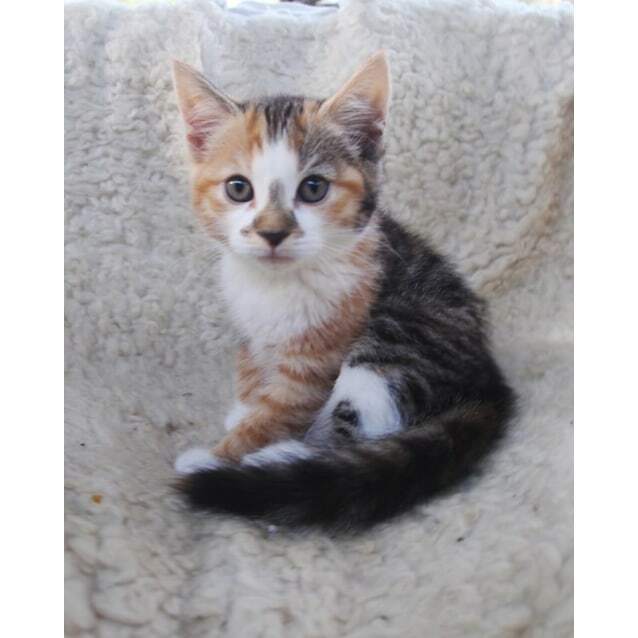 She is an active little girl and loves to play with her siblings and various toys, with empty boxes being a particular favourite that she can hide in and jump out and surprise her siblings!